And it was ‘love, at first sight’. Yes, I’m referring to Goyard’s spanking new hard-sided trunk box known as the Minaudière Clutch that’s now available in Singapore. No, your eyes aren’t playing tricks on you. It’s really a small trunk clutch, and while it isn’t their first (that honour goes to the original Saint Honore), it is their smallest (and lightest) to date. Known simply as the Minaudière Clutch, it is completely framed in wood before it is covered with Goyard’s signature Goyardine canvas. On the inside, you’ll find a leather-lined interior complete with a paper tag that besides showing off the French luxury house’s vintage logo, will also feature some hand-scrawled details. Why? On the label states the craftsman who made it, and when, so if you have any issues next time (or need a quick touching up), it will be sent back to the same man who made it, which is really cool. Besides being really lightweight, it is small. And by small I mean palm-sized. Which also means you won’t be able to fit the larger Apple phones into it, but that shouldn’t really matter when this is the show-stopper that you need in your life. You can carry it as it is, or use the specially created leather harness that comes with the clutch. Just slot the bag in, sling it over the shoulder (or across the body) and you’re good to go. 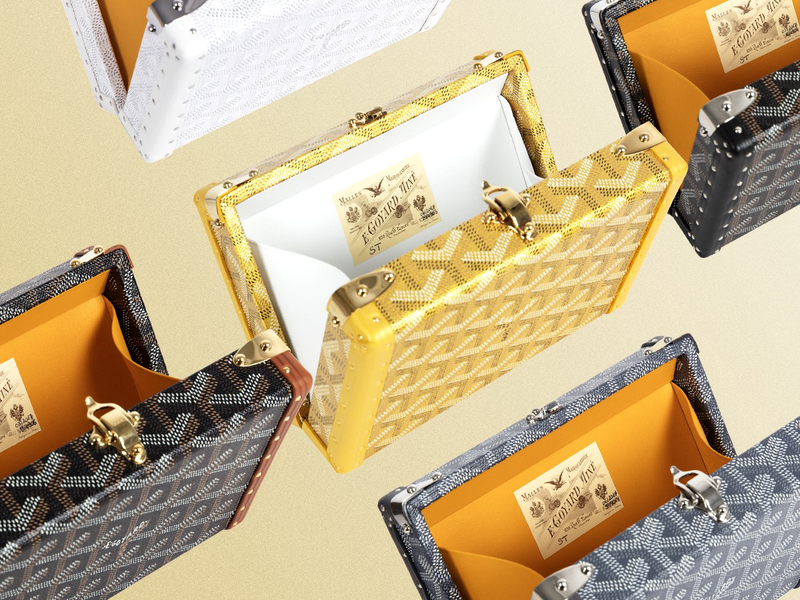 Priced at SGD4930 for the ones in regular colours and around 6000-ish for the ones in special hues, you’ll find limited pieces now at Goyard’s only boutique in Singapore that’s located within Takashimaya Shopping Centre. And because I love it so so so much, I have one reserved in my name. Question is, should I say ‘yes’ to the clutch? For your (and our) sake, please take it.